You came. You ate hoagies. the 2018 Real Philly Deli Faceoff. Congratulations to Linden Italian Market and thank you to everyone who voted! 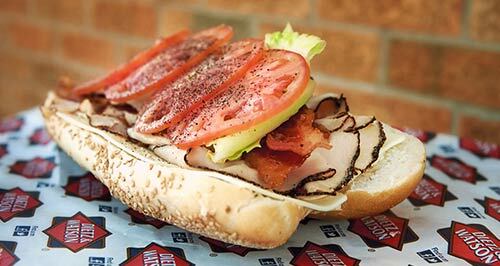 Check out these Real Philly Delis and plan your visit to each to taste some of the best hoagies in Philadelphia. Features a seeded roll stacked with Dietz & Watson’s C-Sharp New York State Aged Cheddar and Black Pepper Turkey Breast. Topped with bacon, romaine lettuce, tomato, dried tomato, basil pesto and oil. Philadelphia is one of the best sandwich cities in the world. This honor was claimed by our corner delis. They’re the heart and soul of the neighborhood, run by the same families and feeding the same neighbors for years. Unpretentious and hardworking, they are Philly.